If you are considering moving to Hawaii or want to know how to move to Hawaii, then this is a must read guide, covering a range of topics, including islands to consider, reasons to move / not to move to Hawaii, cost of living in Hawaii, jobs in Hawaii, moving to Hawaii with pets & more, including several links to some awesome resources around the web. Let’s start with a look at your island options. There are people living on 6 islands in Hawaii, but only 4 of them have a population greater than 10,000 and we will focus on those 4 islands. 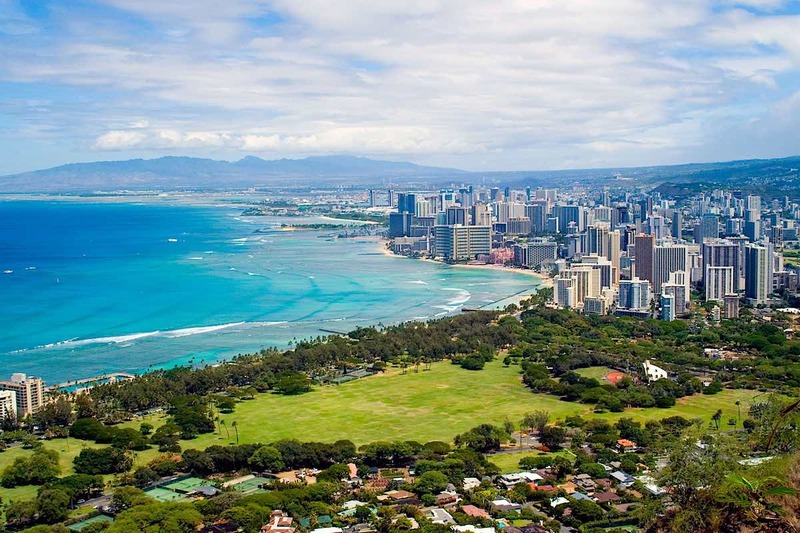 The 3rd largest island and home to the State’s capital, Honolulu, which has the feel of a large US mainland city, but with more of a charm and aloha touch. Read about Oahu on TripAdvisor. The largest island and twice as big as all other islands combined. Vast distances to get anywhere, amazing nature and the most diverse geography of all the islands. The Kona coast (west) is hot and dry and popular among tourists. Hilo side (east) is wet and much less tourists. Read about The Big Island on TripAdvisor. The 2nd largest island. Beautiful and diverse geography from cool upcountry Kula to hot & dry Waimea in southwest packed with hotels and tourists. Read about Maui on TripAdvisor. The 4th largest island. Beautiful lush green throughout island with a small town feel almost anywhere you go. 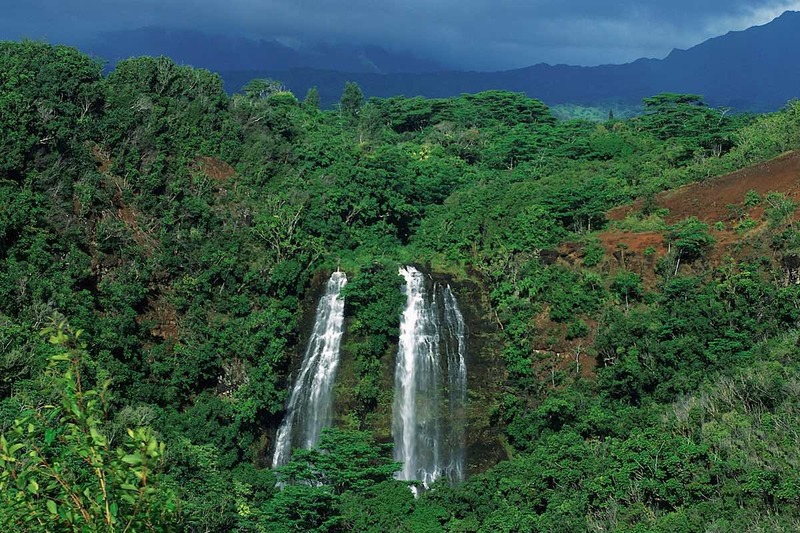 Read about Kauai on TripAdvisor. 1) Population is based on July 2016 data from the US Census Bureau as you can see here (includes lots of other awesome data). 2) Unemployment is based on February 2017 data from the Department of Labor and Industrial Relations. Hawaii is considered the most expensive of all 50 US states to live in, as you can see right here. Please also check out this cool tool from CNN, where you can use a calculator to get estimates on the salary you will need to make in Honolulu, relative to a salary on various mainland cities, to keep the same standard of living. Please take the above data with a pinch of salt. We have a lot of incredible beaches and nature that you can enjoy for free, whereas most places on the mainland would probably require you to spent $$$ to have same amount of fun! So, if you are into the great outdoors Hawaii may not be that expensive for you, but if you are more into fine dining and fancy clothing, then total cost of living in Hawaii will probably seem astronomical! What Does Housing Cost in Hawaii? January – April 2017 the median sales price for a single-family home on Oahu was $749,000 and $400,000 for a condominium. However, property taxes are lower than any other state for owner-occupants. Check out this post, where we compared Honolulu’s property taxes to taxes in 10 major mainland cities. By the way, you can follow the median real estate price levels on Oahu under the “Trends & Statistics” section towards the bottom of our homepage. If you are looking for a rental, please check out Craigslist. You can sort by island and housing type (ex: ‘apts/housing for rent’ or ‘rooms & shares’). It gives you a good idea as to what you can get for your money. Please be wary of scams – Craigslist is known to have had a number of scam related issues, yet it appears to remain the most widely used site for rental properties. 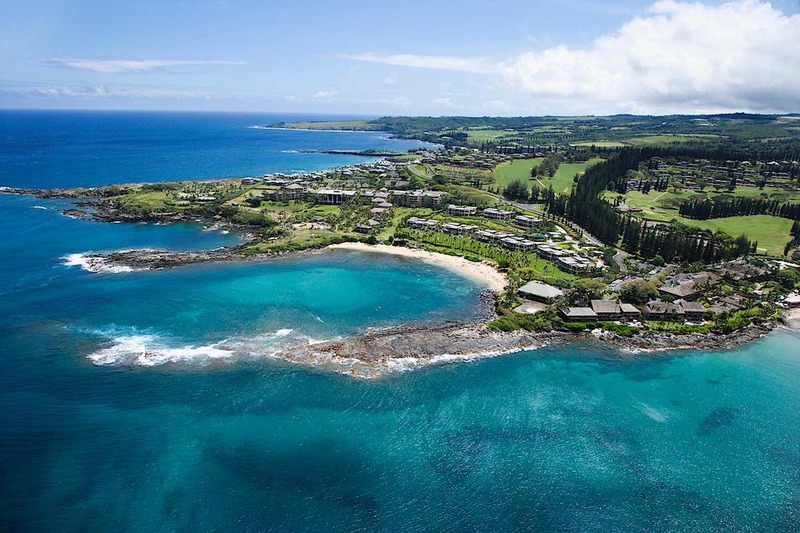 Hawaii is big on tourism – really big! – especially on Oahu with the tourist mecca neighborhood of Waikiki (in Honolulu city), attracting a whopping 5,000,000 visitors per year! With tourism comes a need for a wide range of jobs in retail, sales, hotels, restaurants etc, which means a wide variety of jobs, but especially jobs demanding strong interpersonal skills. Other large job sectors include construction, medical, legal & IT. Most employers will not take a job seeker serious who hasn’t already made the move to Hawaii. Too many stories following the script “I’m just about to book a ticket and should be in Hawaii within a month” and it just never materializes. 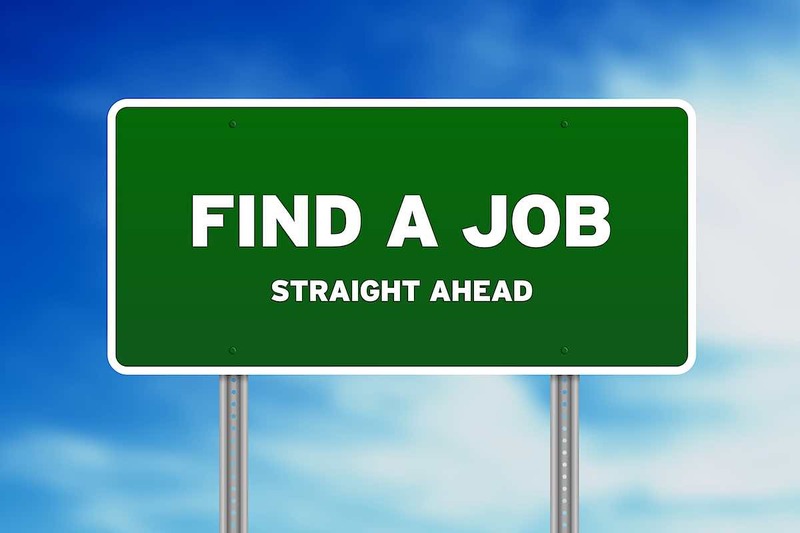 This doesn’t mean you can’t give it a shot – finding a job before making the move – it just means you may face an uphill battle, so be prepared. We actually encourage you to connect with employers and employment agencies before you make the move to Hawaii. Educate yourself on our job market and get a sense as to how easily you may fit in and find a job. PS! Don’t limit your search – above website ideas are just meant as a starting point. OK, if you are comfortable with housing costs and the possible job opportunities, then read on and we will review costs of moving to Hawaii and how you would make the move. How Much Does it Cost Moving to Hawaii? A flight ticket. 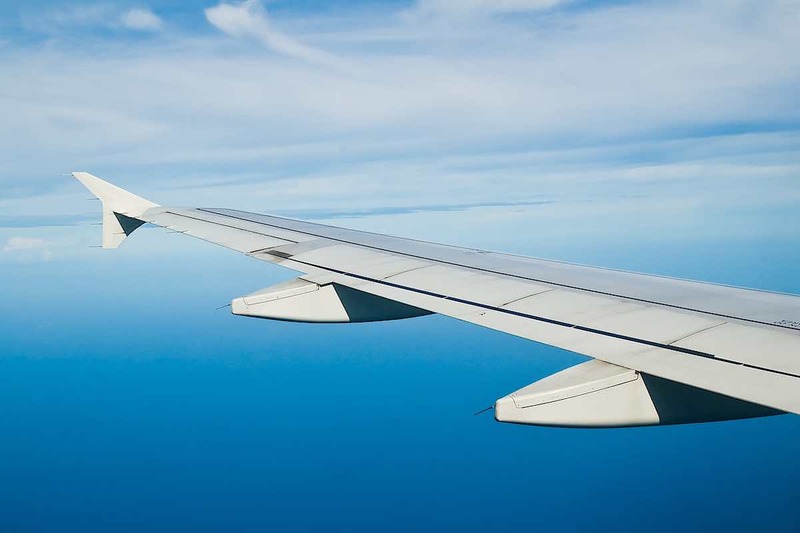 Check out Expedia for some flight ideas. A place to stay when you arrive. If you are on a budget consider renting a room. Craigslist has a lot of listings here. Before making the move, find out if any friends or future roommates may have a Costco membership or how they deal with grocery shopping and get some estimates on monthly cost of living. When you have estimated costs for point 1-3 add them together, double that figure and add $500. That gives you a 2 month living budget, without any income, plus a $500 additional cushion. We don’t recommend moving to Hawaii with anything less than a minimum 2 month living budget. Also consider an additional financial cushion depending on how easily you think you will be able to find a job. Some people consider moving to Hawaii without money and sure, if you have enough $ to purchase a flight ticket you can make it to islands, but with the risk of not being able to find a job immediately we can’t recommend moving to Hawaii without some savings. We will assume you are a US citizen, which means you are free to travel to Hawaii without a visa. For foreigners interested in moving to Hawaii, you probably need an attorney to advise on possibilities. Check out this list of attorneys from Yelp and maybe that can be a starting point for you. 1) Save up enough money to live at least 2 months without income. That is 2 months worth of savings after you arrive in Hawaii and taking into account cost of housing, food and other living expenses. 2) Focus searching for a job on Oahu (mainly Honolulu) as that is by far the biggest job market in the Islands. It may be tempting to look for jobs on the outer islands (Maui, Kauai, Big Island), but with a much smaller inventory of jobs you may increase your risk of not finding a job, unless you have a unique skillset / knowledge more suited for one of the outer islands (maybe you have a wealth of knowledge on Maui and well suited to be a tour guide on Maui). 3) Search for a flight. Try out Expedia, Cheapflights or Kayak. 4) April – May and Oct – November tend to be the slowest seasons (least tourists) and you may get a better deal on a flight. 5) If you can avoid it, don’t ship furniture or any other belongings to Hawaii that doesn’t fit in your suitcase, as shipping is super expensive! Maybe you can sell some items and safe a few extra $. 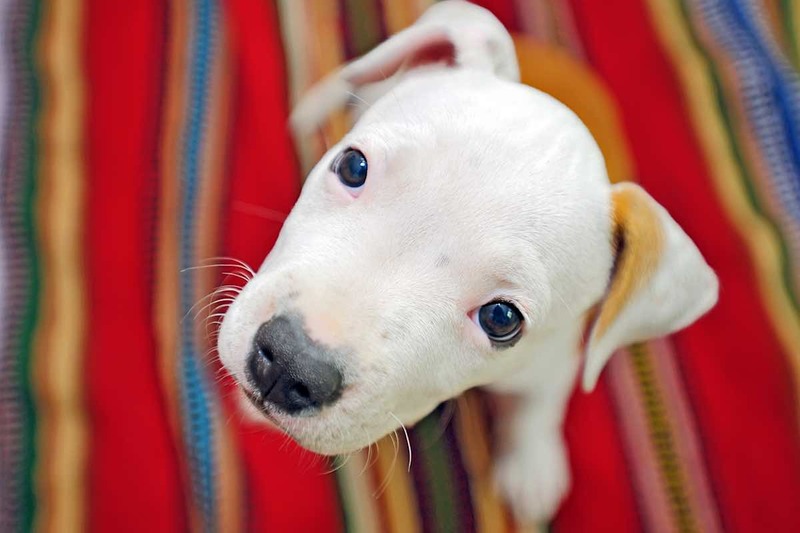 If you are moving to Hawaii with dogs, cats or other animals please visit this Animal Quarantine Page, where you can learn all about what you need to do to prepare your pet for the move to Hawaii. There is a direct release program (no quarantine needed upon arrival), which takes a few months of preparation with rabies shots etc. Planning on moving to Hawaii next month with a pet – that is a no go, if you expect your pet to be released from quarantine upon arrival. Honolulu County Vehicle Fees & Tax Calculator. 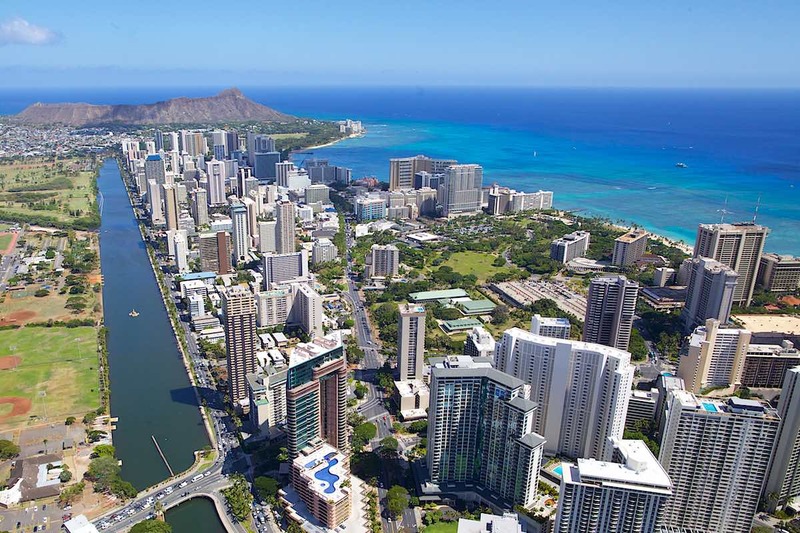 Honolulu, with just short of 400,000 inhabitants, is by far the closest you will get to the feel of any major city on the mainland and therefore the easiest place to fit in. No other city is the State of Hawaii is even close to 100,000 inhabitants (several are near the 50,000 level). Get a State ID once you arrive and you can take advantage Kamaaina rate, which is discounted prices for local Hawaii residents at some shops, restaurants, hotels etc. Everything is just a bit more relaxed and casual in Hawaii. Did you arrange to meet your new friend 2pm at Coffee Bean & Tea Leaf, but he didn’t show up before 2.30pm and when he finally arrived you were greeted with a smile and “how’z it?” Welcome to island time (and style)! You may find it rude at first, but you will over time get used it, go nuts or leave the islands. Don’t complain and don’t be too direct (straight to the point). People in Hawaii likes a friendly touch and anything negative should be wrapped with a nice layer of warmth, otherwise you may be perceived as rude and arrogant. Island Fever – feeling stuck on a rock with nowhere to go. It hits some people, even those who enjoy life in the islands. Things tend to deteriorate quicker, due to salt in the air and the higher level of humidity. 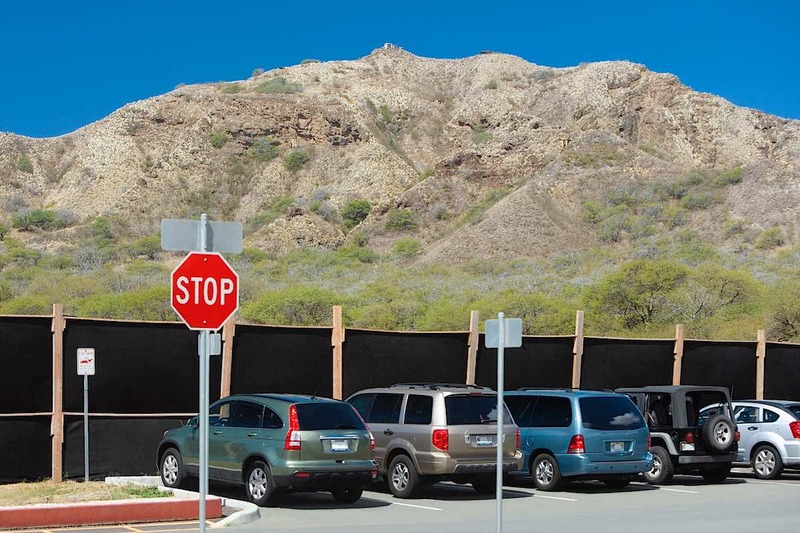 TheBus – Oahu’s Bus system – is rather efficient and not that expensive, as you can see here. If you are not into any outdoor activities such as surfing, hiking, running, biking etc you may well sometimes feel you don’t quite belong in Hawaii. Check out this neat map from cnn that shows cost of gasoline across all 50 states February 2016. 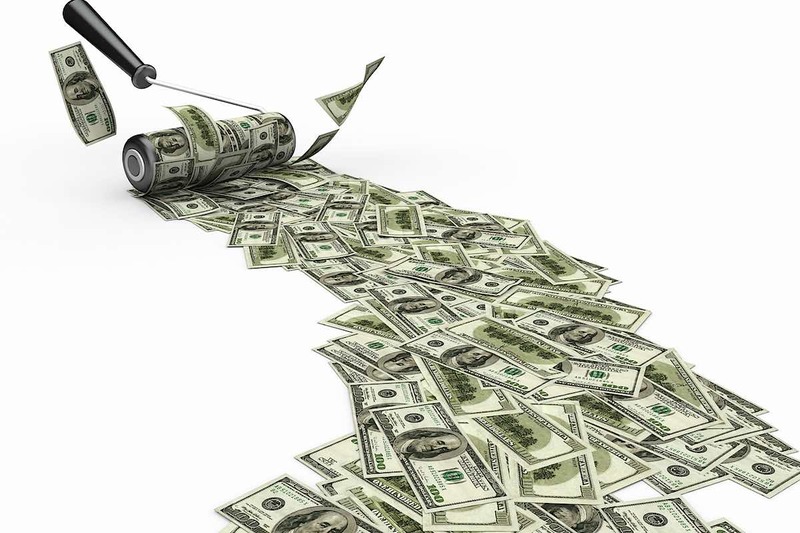 Hawaii was the most expensive state at $2.63 / gallon and Oklahoma the cheapest at $1.39 / gallon, but keep in mind distances are short – we don’t consume a whole lot of gasoline. Hawaii’s beaches are stunning, free to use and none of them are private – not even the beaches in front of luxury residences and hotels. 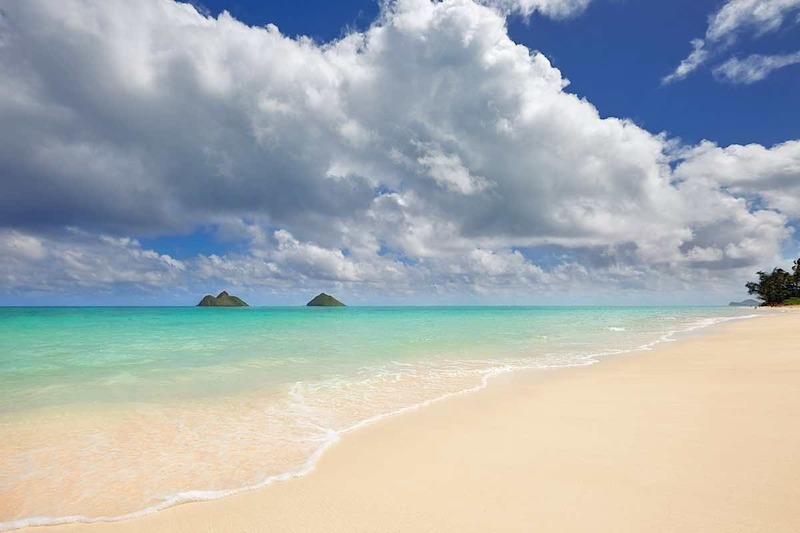 Check out our post on the Best Beaches on Oahu. Most of Hawaii’s stunning nature is free to explore (hikes, parks etc). 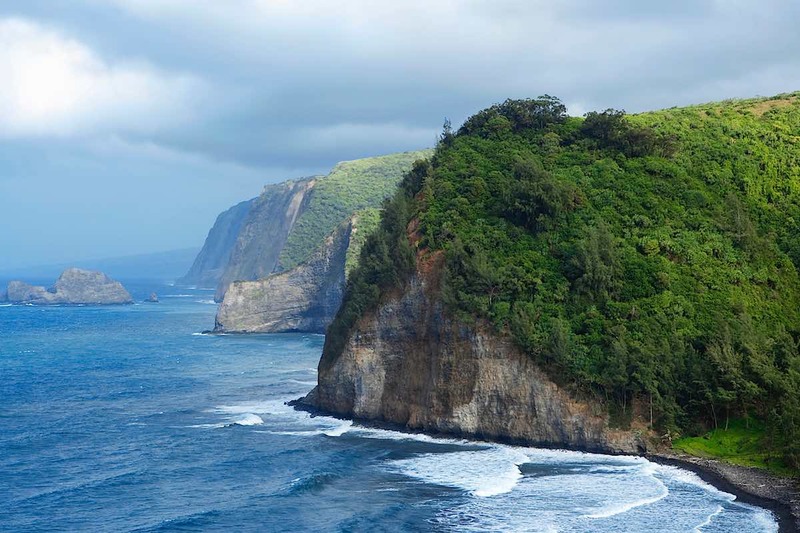 Check out these 14 pictures of Hawaii’s Natural Wonders from the Travel Channel. Most places in Hawaii has idyllic weather all year round. Check out these cool weather maps we created, that show summer days and rainy days of various cities in Hawaii vs more than 1,100 mainland cities. Distances are relatively short (except on The Big Island) and you can reach almost any place in a short amount of time. For instance, it is just a 1 hour (31 miles) from Honolulu in the southern part of Oahu to the charming surf town of Haleiwa on the North Shore and that is quite a distance for people on Oahu (we are spoiled). We don’t need fuel to stay warm in Hawaii (well, at least for 99% of residences in Hawaii) and have no need for winter clothing. A pair of shorts, flip-flops, t-shirt and a long-sleeve shirt and you should be good to go and start your new life in Hawaii. Hawaii has a happy, relaxed easy-going culture and you will find people with good energy no matter where you go. Life is good! Getting a drink or light bite to eat by a beach somewhere in Hawaii – maybe the Royal Hawaiian Hotel’s Mai Tai Bar located on Waikiki’s beautiful white sandy beach – is just awesome and it is even more awesome 6pm – 8pm when they have live Hawaiian music. Traffic is bad and Honolulu is ranked number 8 on a recent list from Business Insider of US cities with the worst traffic. We have a tropical climate and that means lots of bugs and they love visiting your home; cockroaches, ants etc. Keeping your place clean will help, but don’t expect to live anywhere without facing a (flying) cockroach at some point! Yes, cockroaches do fly! There are pros and cons moving to Hawaii, just like moving anywhere in the world. At the end of day, whether you will embrace and fall in love with Hawaii, its culture, nature and people depends entirely on your character and your attitude. By the way, If you have read this far, you are probably pretty determined to make the move. So good luck moving to “Paradise” – may an exciting new chapter of your life be about to begin! PS! Would love to hear from you in the the comments section below.